Sydney mum Peita Pini, inventor of The Swag. 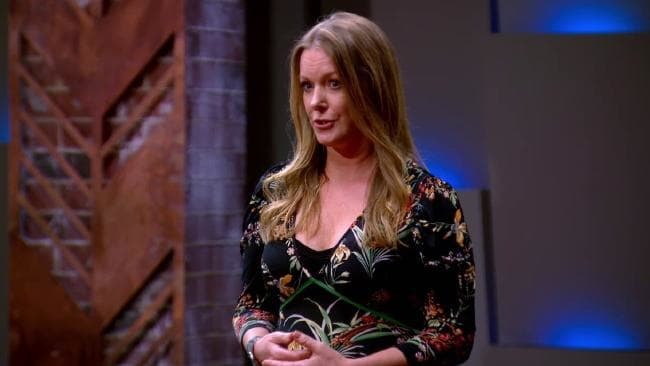 A SYDNEY mum has scored a $150,000 investment on Shark Tank for a clever fridge hack that could save shoppers thousands on groceries, despite an "insulting" and "unrealistic" valuation nearly scuttling the deal. 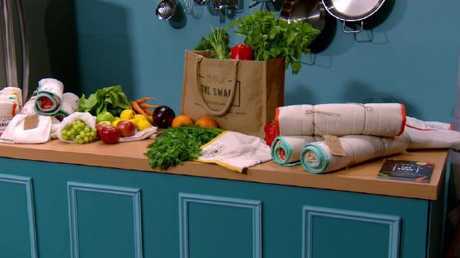 Peita Pini, 45, entered Tuesday night's episode seeking $300,000 for 10 per cent of The Swag, a fridge bag that holds moisture to prevent fruit and vegetables from going off - similar to a ham bag. "My product is going to revolutionise the homes of Australian families because this product is actually saving people a lot of money," she said. "Like millions of Australians and billions of people all around the world I was sick and tired of throwing out rotting fruit and vegies. "Plastic bags and containers are not only toxic to the human body but they're having a horrendous impact on the environment, and they kill our fresh produce a lot quicker than is actually necessary. "I knew in my heart that there had to be a safer, better, natural solution to this worldwide problem. 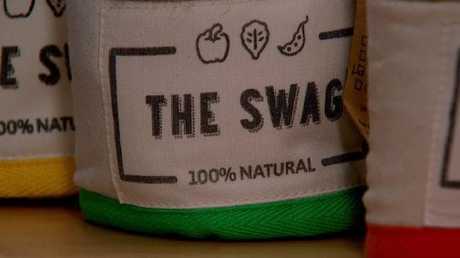 The Swag [is] a 100 per cent natural, reusable bag that enables your fresh produce to stay alive and nutrient rich two to four times longer in the crisper of the fridge. "Our customers tell us on average they'll get two weeks of life out of their fresh produce, so it saves you money and it's saving the planet as well." A three-layer system holds moisture without soaking the contents. While the Sharks seemed impressed with the product, they immediately took issue with Ms Pini's $3 million valuation. "Do you think it's a little cheeky having a valuation of $3 million?" asked Boost Juice founder Janine Allis. She valued the company at $3 million. Ms Pini said she "got it independently valued and those two companies came back and said that's fair", prompting RedBalloon founder Naomi Simson to hit back, "Did they put their money in?" Pressed to justify her valuation, Ms Pini said it was based on the "IP, the trademarks, the systems, the processes, manufacturing". Janine Allis was not happy about that. 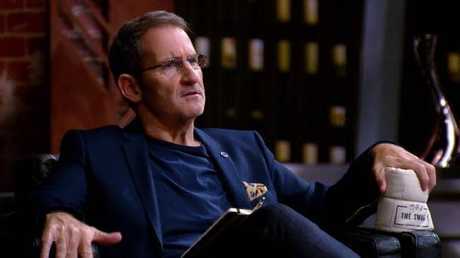 Tech entrepreneur Steve Baxter cut in, saying when talking to an investor, the only justification for saying "it's worth $3 million today is because it's worth $6 million in two years". "That's how you defend a valuation," he said. Ms Pini revealed she had already sold 60,000 bags, with the company making $320,000 revenue and about $83,000 profit in its first financial year. The Swag starter pack, which contains four individual bags, costs $17, wholesales for $40 and retails for $72.95. Naomi Simson said it was ‘really unrealistic’. Andrew Banks said he couldn’t get over the valuation. Ms Pini said she didn't have a retail strategy as the product had just been growing organically. "We've got 100 retailers now," she said. "This is a product that a lot of people don't know exists and when they see it in-store, there's a really good uptake. In a lot of stores we've become their bestseller." She said she wanted the Sharks' help to expand to the US. Investor Andrew Banks was the first to pull out, saying he couldn't get over the valuation. Naomi followed, citing "executional risk" and her "really unrealistic" valuation. Greencross founder Glen Richards said he was interested but wanted 25 per cent of the company for $150,000, valuing it at just $600,000. Janine also made an offer of $100,000 for 25 per cent, plus a $200,000 loan to be repaid on 5 per cent of sales every year. "In my opinion you've been ill-advised on the valuation dramatically," she said. "In some respects it's insulting. It's a difficult one for me because I do like the product, but I can't make the $300,000 work without taking 60 per cent of your business and I'm not going to do that." 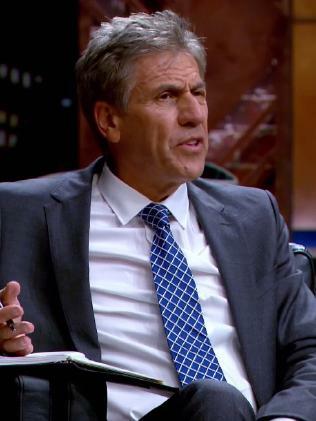 Steve Baxter just seemed angry generally. Steve said they were "both pretty poor offers" and advised Ms Pini not to take either of them, before pulling out himself. Janine advised Ms Pini to consolidate her business in Australia before expanding into the US market. Glen, on the other hand, said he was already an investor in wholefoods market Flannerys and had "deep ties" to Coles and Woolworths. He said he could open up his contacts and help her go international. Ms Pini accepted Glen's offer due to his retail experience. "I'm happy with the outcome," she said. "I could really do with the mentoring of Glen, so I'm stoked." 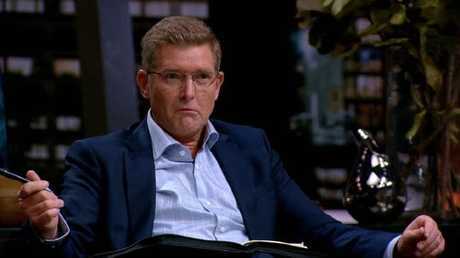 Shark Tank returns to Channel 10 on Tuesday 17 July at 8:30pm.